Archaeologists translating a very rare inscription on an ancient Etruscan temple stone have discovered the name Uni -- an important female goddess. The discovery indicates that Uni -- a divinity of fertility and possibly a mother goddess at this particular place -- may have been the titular deity worshipped at the sanctuary of Poggio Colla, a key settlement in Italy for the ancient Etruscan civilization. The mention is part of a sacred text that is possibly the longest such Etruscan inscription ever discovered on stone, said archaeologist Gregory Warden, professor emeritus at Southern Methodist University, Dallas, main sponsor of the archaeological dig. Scientists on the research discovered the ancient stone embedded as part of a temple wall at Poggio Colla, a dig where many other Etruscan objects have been found, including a ceramic fragment with the earliest birth scene in European art. That object reinforces the interpretation of a fertility cult at Poggio Colla, Warden said. 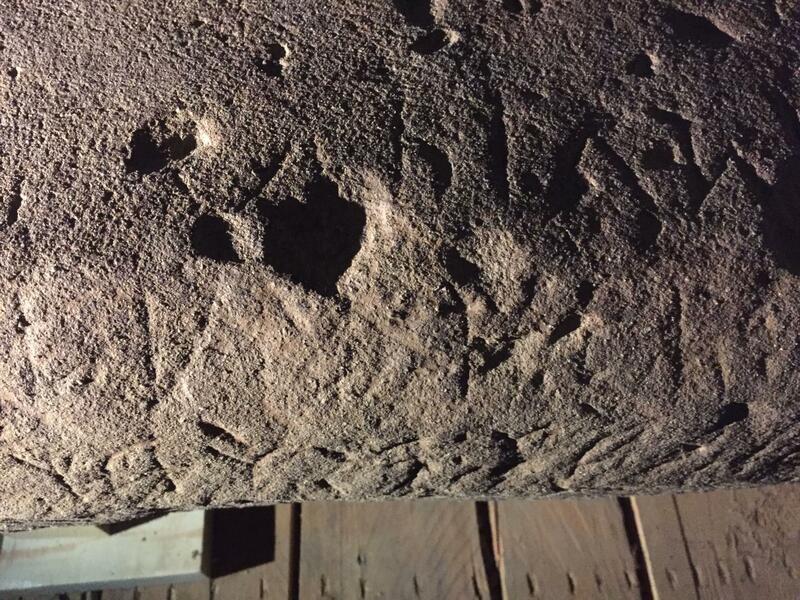 Now Etruscan language experts are studying the 500-pound slab -- called a stele (STEE-lee) -- to translate the text. It's very rare to identify the god or goddess worshipped at an Etruscan sanctuary. "The location of its discovery -- a place where prestigious offerings were made -- and the possible presence in the inscription of the name of Uni, as well as the care of the drafting of the text, which brings to mind the work of a stone carver who faithfully followed a model transmitted by a careful and educated scribe, suggest that the document had a dedicatory character," said Adriano Maggiani, formerly Professor at the University of Venice and one of the scholars working to decipher the inscription. "It is also possible that it expresses the laws of the sanctuary -- a series of prescriptions related to ceremonies that would have taken place there, perhaps in connection with an altar or some other sacred space," said Warden, co-director and principal investigator of the Mugello Valley Archaeological Project. Warden said it will be easier to speak with more certainty once the archaeologists are able to completely reconstruct the text, which consists of as many as 120 characters or more. While archaeologists understand how Etruscan grammar works, and know some of its words and alphabet, they expect to discover new words never seen before, particularly since this discovery veers from others in that it's not a funerary text. The Mugello Valley archaeologists are announcing discovery of the goddess Uni at an exhibit in Florence on Aug. 27, "Scrittura e culto a Poggio Colla, un santuario etrusco nel Mugello," and in a forthcoming article in the scholarly journal Etruscan Studies. It's possible the text contains the dedication of the sanctuary, or some part of it, such as the temple proper, so the expectation is that it will reveal the early beliefs of a lost culture fundamental to western traditions. The sandstone slab, which dates to the 6th century BCE and is nearly four feet tall by more than two feet wide, was discovered in the final stages of two decades of digging at Mugello Valley, which is northeast of Florence in north central Italy. Etruscans once ruled Rome, influencing that civilization in everything from religion and government to art and architecture. A highly cultured people, Etruscans were also very religious and their belief system permeated all aspects of their culture and life. Permanent Etruscan inscriptions are rare, as Etruscans typically used linen cloth books or wax tablets. The texts that have been preserved are quite short and are from graves, thus funerary in nature. "We can at this point affirm that this discovery is one of the most important Etruscan discoveries of the last few decades," Warden said. "It's a discovery that will provide not only valuable information about the nature of sacred practices at Poggio Colla, but also fundamental data for understanding the concepts and rituals of the Etruscans, as well as their writing and perhaps their language." Besides being possibly the longest Etruscan inscription on stone, it is also one of the three longest sacred texts to date. One section of the text refers to "tina?," a reference to Tina, the name of the supreme deity of the Etruscans. Tina was equivalent to ancient Greece's Zeus or Rome's Jupiter. The slab was discovered embedded in the foundations of a monumental temple where it had been buried for more than 2,500 years. At one time it would have been displayed as an imposing and monumental symbol of authority, said Warden, president and professor of archaeology at Franklin University Switzerland. The text is being studied by two noted experts on the Etruscan language, including Maggiani, who is an epigrapher, and Rex Wallace, Professor of Classics at the University of Massachusetts Amherst, who is a comparative linguist. A hologram of the stele will be shown at the Florence exhibit, as conservation of the stele is ongoing at the conservation laboratories of the Archaeological Superintendency in Florence. Digital documentation is being done by experts from the architecture department of the University of Florence. The sandstone is heavily abraded and chipped, so cleaning should allow scholars to read the inscription. Other objects unearthed in the past 20 years have shed light on Etruscan worship, beliefs, gifts to divinities, and discoveries related to the daily lives of elites and non-elites, including workshops, kilns, pottery and homes. The material helps document ritual activity from the 7th century to the 2nd century BCE. Besides SMU, other collaborating institutions at Mugello Valley Archaeological Project include Franklin and Marshall College, the University of Pennsylvania Museum of Archaeology, the Center for the Study of Ancient Italy at The University of Texas at Austin, The Open University (UK), and Franklin University Switzerland.